Yesterday on Israeli national television, a prominent Israeli political figure announced that he had recently taken a toke or two of cannabis. Of course, had he been caught doing it in his homeland, without the proper medical permit to be doing so, he would be breaking the law. So seeing a conservative member of Israel’s Home Party just blurt out a confession to the world may have been surprising to some, but only if they haven’t been paying attention to Yinon Magal and his rise in national politics. Until he announced his intent to run for political office last week, Magal served as the editor-in-chief for an Israeli news website called Walla. During his reign at Walla, Magal often expressed his advocacy for cannabis use. In April of this year, Magal hosted a highly controversial discussion on Walla where a reporter allegedly rolled up a doobie as they spoke, and then sparked it up right on the air. Magal claims that it wasn’t actual weed that got burnt down on the show, but still, he removed the video from the Walla website that very same day. So just one day after announcing his political aspirations to join the Knesset in Israel, the legislative branch of Israeli politics responsible for writing all laws and appointing the President and Prime Minister, Magal found himself being interviewed by Channel 2 newsman, Oded Ben-Ami who hoped to give the voters an in-depth look at the candidate – and Magal did not disappoint. “Yes,” replied Magal without skipping a beat. Unsatisfied, Ben-Ami asked specifically when. Actually, what happens in Goa is a thriving psychedelic drug scene that has become synonymous with the destination, leaving little doubt as to what Magal was hinting towards. Magal is a bit of a walking contradiction, politically, perhaps a sign of the changing demographics and opinions in Israel as a whole. A staunch supporter of cannabis use, Magal is also a true-blooded patriot who sees no harm in his country’s aggressive foreign policy in the region. He observes Shabbat, like a good Orthodox Jewish man, but refuses to don the customary skullcap typically worn by those of the faith. 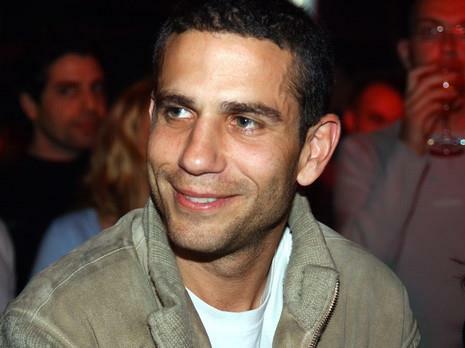 A former special forces commando and reporter for Israeli Army Radio, Magal has the full support of the conservative Home Party, and is expected to breeze through confirmation proceedings and join the Knesset after the elections in March 2015. There he will join at least 11 other Israeli lawmakers who, just within the past year or two, have admitted to smoking weed at some point in their past. This reflects a massive shift in Israeli public opinion about cannabis is just a few short years. For example, leading up to the elections in January of 2013, a candidate named Yair Lapid continually denied having ever smoked pot, which led to many of his former friends and colleagues calling him out quite publically. 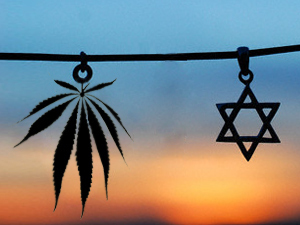 On paper at least, Magal will be among the most conservative members of the Knesset which should be music to the ears of Israel’s cannabis advocates.